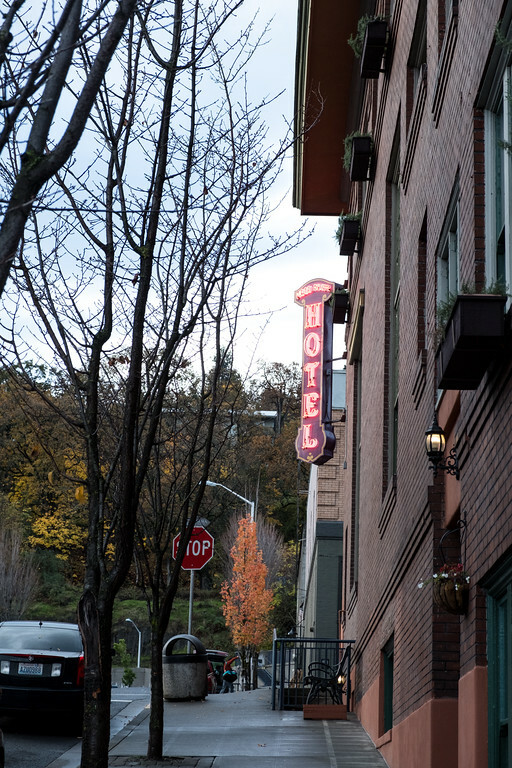 This is a review of the Hood River Hotel in Hood River, Oregon. When we travel we like to make where we stay as important as the sights we see. Even though we rarely spend two nights in one place (we are those kind of travelers) we still want it to be memorable. If it’s possible, we don’t want to stay in just any hotel. We want the hotel experience to be as memorable as every other part of the trip. 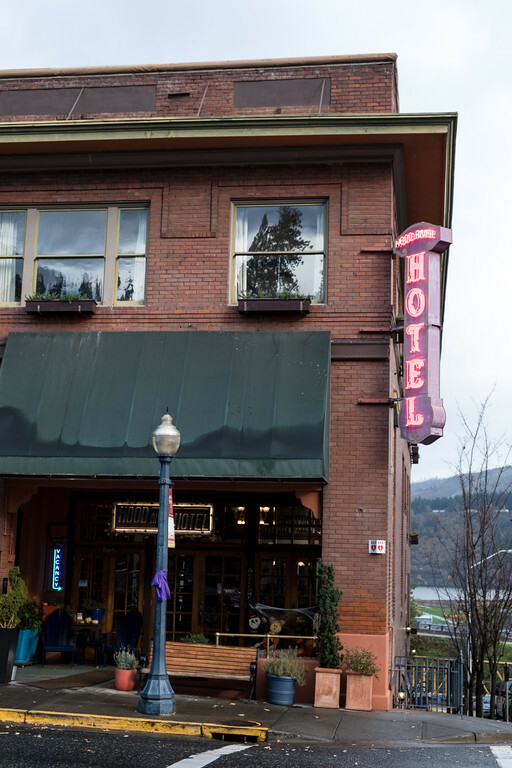 So, when choosing a hotel for an overnight stay in Hood River Oregon, I was thrilled to find the Historic Hood River Hotel. As soon as we drove up and saw the building, we knew we had made the right choice. It was charming and quaint with a deco looking neon sign. You walk into the lobby, which is warm and welcoming. Walking into our rooms, we fell in love immediately. There were restored hardwood floors through out. 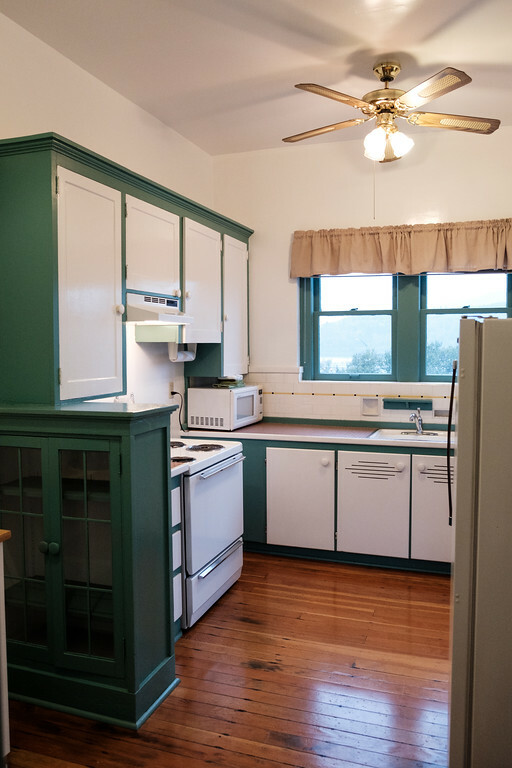 The kitchen was charming, with everything you would need. 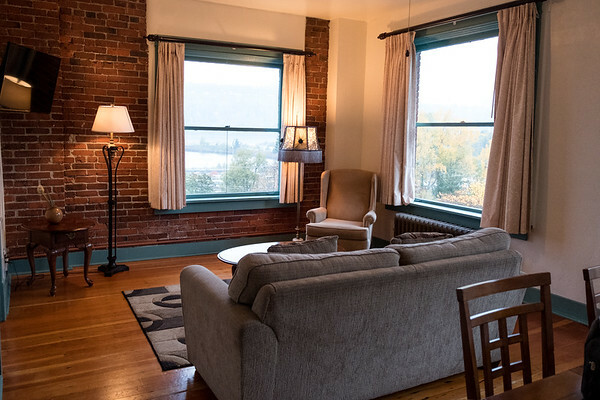 Antiques and modern amenities blended perfectly. 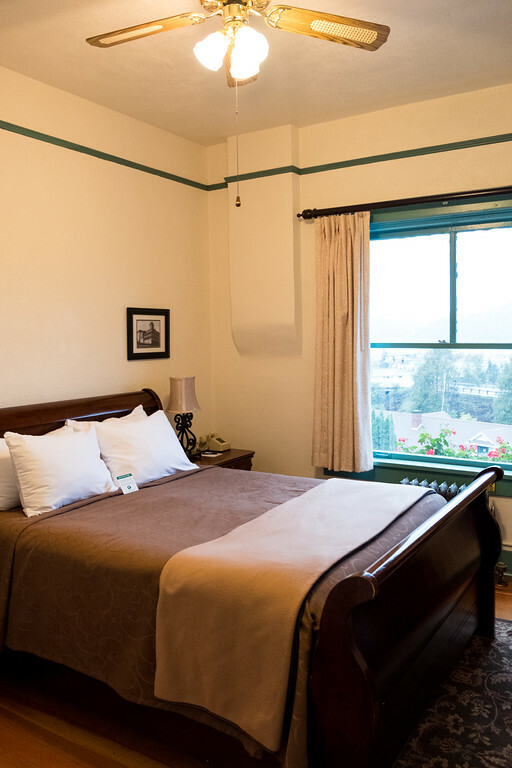 The bedroom, with it’s old radiator and geraniums in the window box and antique bed, made you feel like you were staying at your favorite grandma’s house for the weekend. 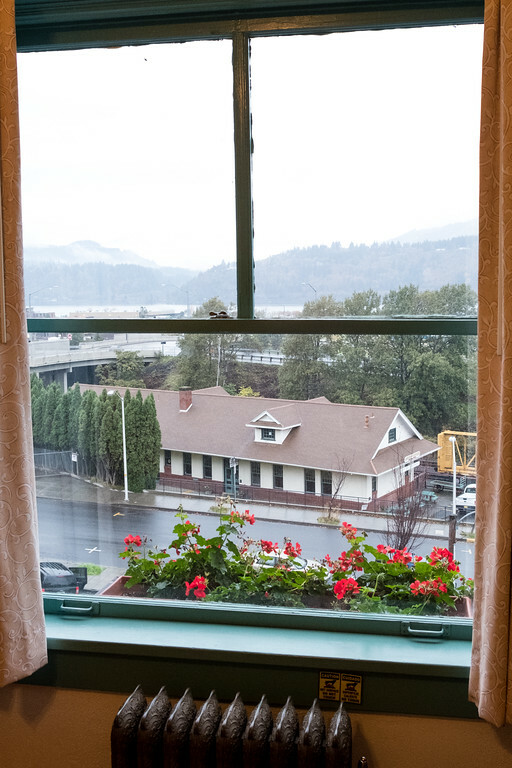 The view out the window with the mountains and river was just as special as the rooms! Our favorite room was the living room with the large windows. After grabbing dinner out (everything in easy walking distance) we settled on the couch with a bottle of Oregon wine and planned the next days adventures. Our only complaint was that we only booked one night! We would have gladly stayed longer. So warm, inviting and charming!